There’s a very nice bak kut teh (herbal pork rib soup) stall at a corner coffee shop next to the Public Bank building. Try it out! 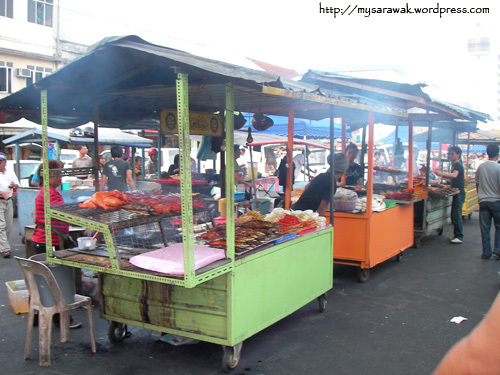 This is a night market (pasar malam) scene at down town Sibu. This place sells anything from food to kitchen utensils to RM2 stickers. 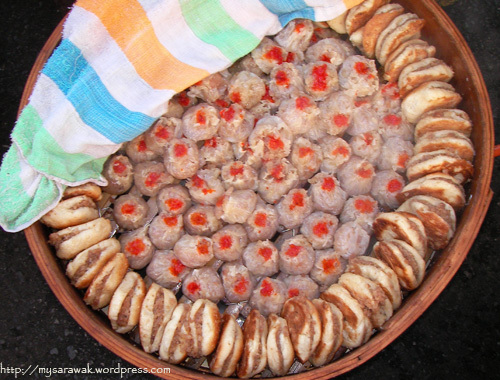 The famous Sibu kongpiah (cousin of European bagel). It comes in sweet or savoury taste. I love the savoury ones and taste nicer overnight… delicious to dunk into my kopi-o (coffee with sugar no milk). 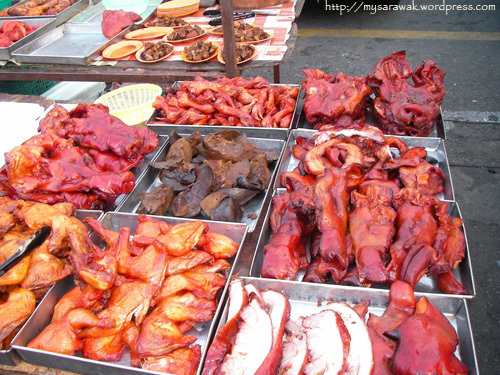 Fresh ones are soft but you can knock somebody unconscious with an overnight kongpiah! In the middle of the steamer is what we called sio-bee (steam meat dumplings). The other is kongpiah stuffed with minced meat a.k.a. 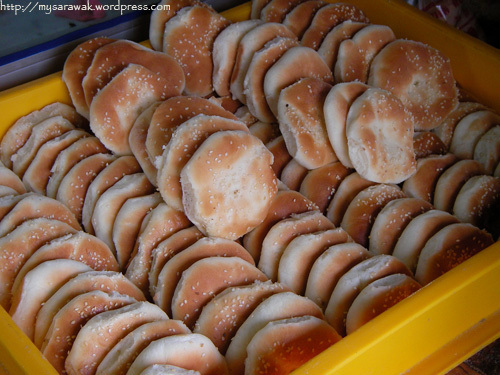 Foochow hamburger. 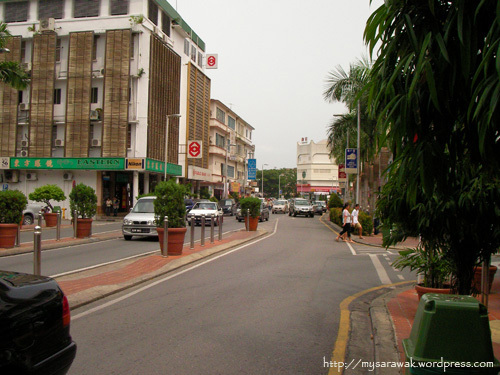 Sibu has the largest Foochow community outside of China, so much so that Sibu is also fondly referred to as “Xin Fuzhou” or “new Fuzhou” and thus most of the food originated from this dialect group. 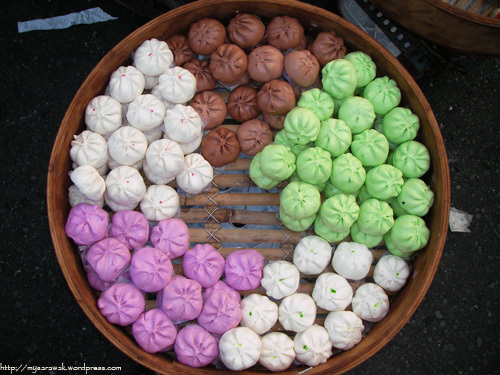 Colourful steam buns. 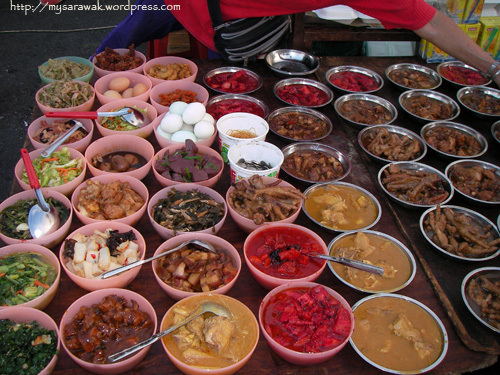 Different colours have different fillings – tau-sa (red bean paste), cha-siew (barbeque pork in gravy), bak-pau (meat), etc.